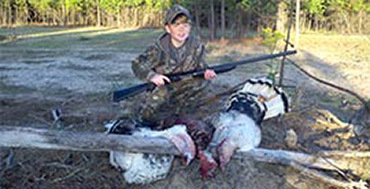 Welcome to Boggy Creek Outfitters - Plan your next Hunting Experience Here! Boggy Creek Outfitters is ready for you to come get your HUNT ON! 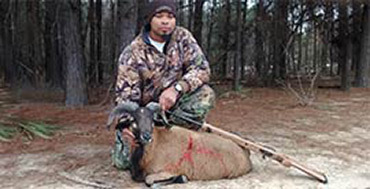 Offering traditional hunts and high fence hunts. Bring your bow or rifle and let's get hunting! We have something for everyone here at Boggy Creek Outfitters. Never shot a bow or firearm? Still want to experience the thrill of the hunt? NO PROBLEM. We'll get you squared away and on target. 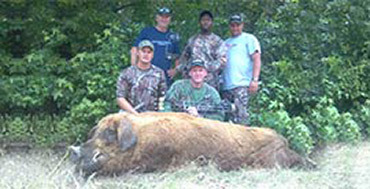 Please visit our Hunting Information page and our Hunting Packages page for more information. Or, just give us a call from our Contact Us page. For more photos, please visit our photo gallery here. This page provides detailed information about our traditional and high-fence hunting, including pricing for specific game. Our newest packages for 4 hunters include our daily fees, use of our rustic cabin, guided hunts and instruction for rookie hunters. Our gallery includes more than 3 years of photographs of our satisfied clients with their game - from 8-year-old to 80-year-olds. Boggy Creek Outfitters - Come get your Hunt On! from Rick Eutsler on Vimeo.